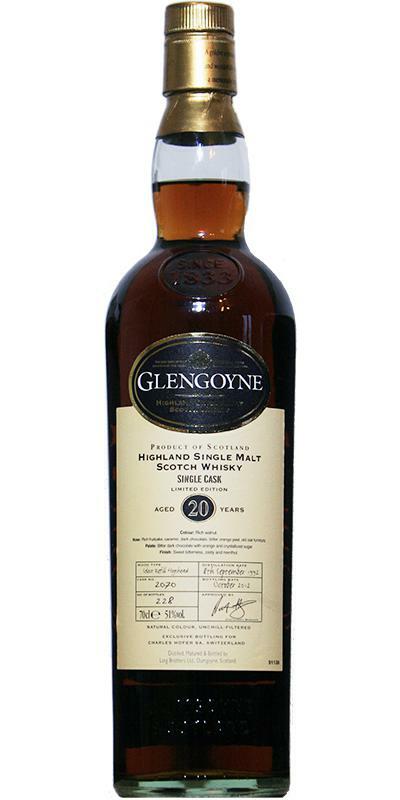 Very rich, intense and entertaining Glengoyne. Simply great. Very rich and "dark" in character. Red fruits, mostly red currant, also blackcurrant, raspberry and tons of other kind of berries. 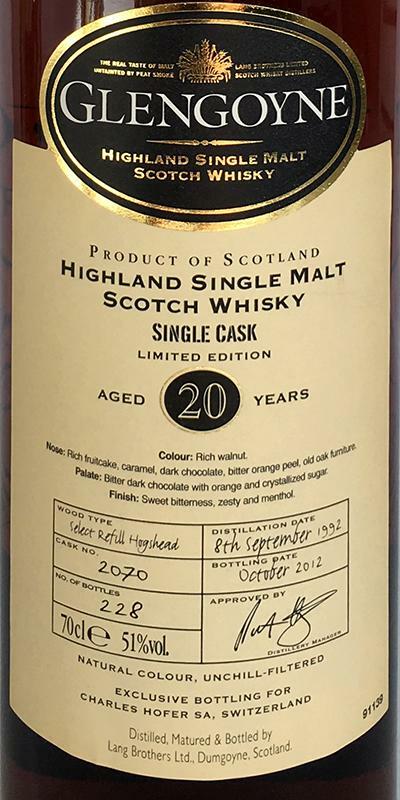 Dark chocolate, cocoa and aromatic wood. Berry marmelades all over, strawberry, blueberry, blackcurrant, a real fruity explosion. Tons of chocolate and cocoa, notes of espresso. Long, on red currant and aromatic spice. langanhaltende Süsse begleitet von "Rum-Würze"